Do you have a disorganized mess somewhere in your home, car or office? Do you know the basic principles of organization, but life is overwhelmingly too busy right now to attempt doing it yourself? Or do you have someone in your life who could use a little help in this area, and you would like to gift them a consultation and 4 hours of professional organization services? I have just the right person for you! She is a professional organizer extraordinaire! 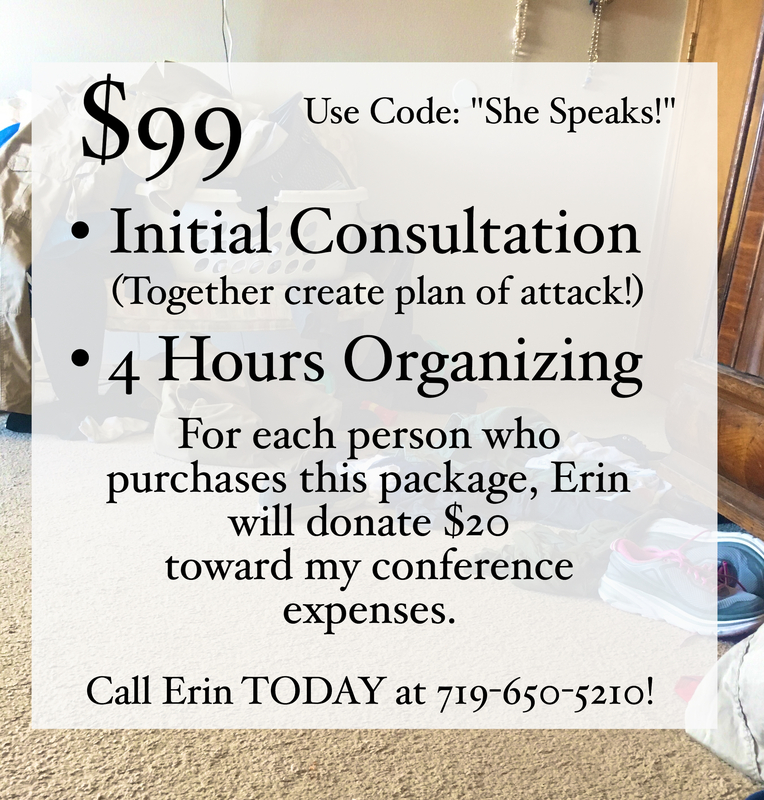 My dear friend Erin Duckworth is a professional organizer and is a member of the FB Professional Organizers Page. Reorganizing by SomeDucks (719) 650-5210! Personally, I find myself in an entirely different category! I am in the camp of needing a professional organizer because I am a perfectionist! My perfectionism shows up like this: If I can’t do it perfectly or completely (start to finish), then I don’t do it at all. Can I get an “amen”? It’s been my nemesis in so many areas of my life. People who have seen my home at times have laughed at the idea that I struggle with perfectionism…but it’s true! Well, Melissa, I don’t think that would work, Friend! So sorry! ❤ Miss you!